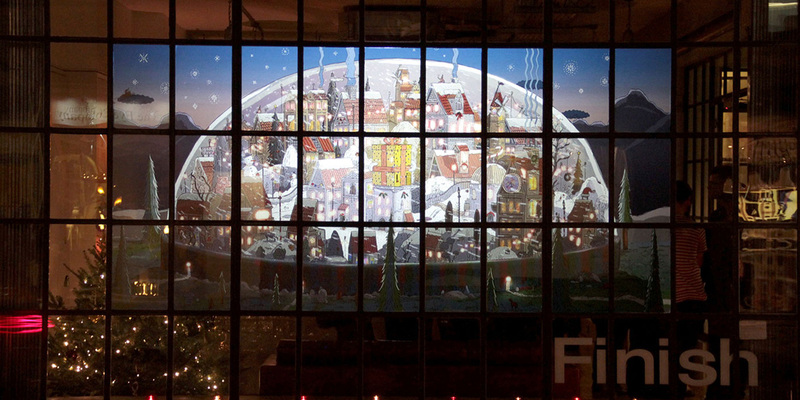 Take a look at the animated Christmas card that we created and was projected in the front window of the post-production company Finish in Soho, London. We came up with the idea of creating a snow-globe as the window seemed like a natural container, or porthole, to a world in which the snow globe could exist. 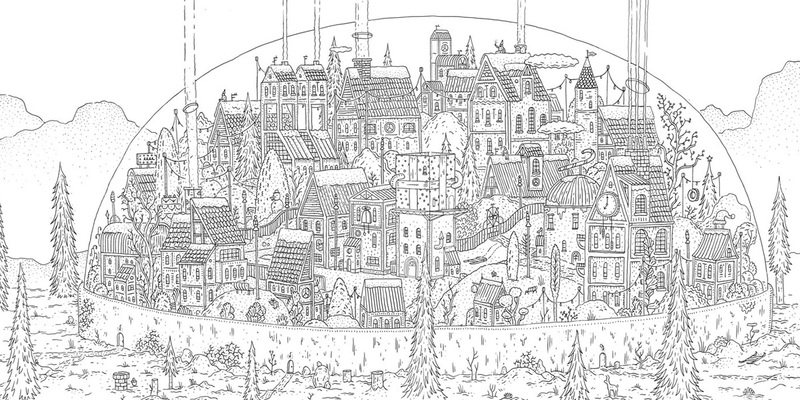 Working together with the incredibly talented illustrator Jean de Wet, our scene was inspired by classic depictions of quaint European villages in the mountains during Christmas time. 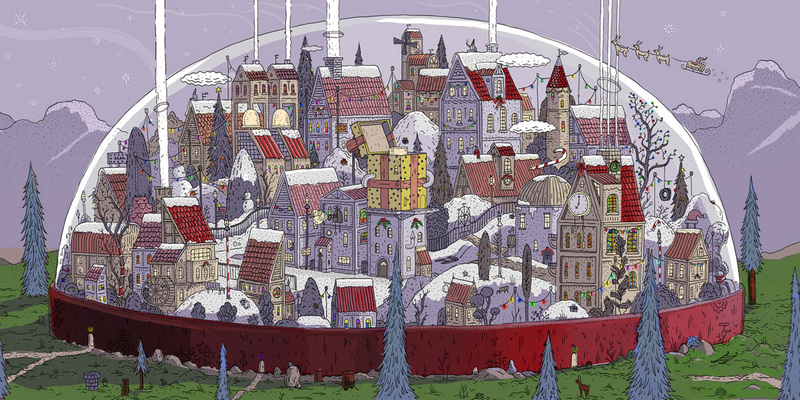 The environment is scattered with little animation loops so the more you study the details and animation, the more you see – a kind of a Where’s Wally type scenario in which the viewer sees something new every time they walk by. The illustration was initially done with pen and paper. It was scanned and coloured in Photoshop and then broken up into individual layers that were prepped for animation. The compositing was done using after effects.